Posted on 14, January 2019 by EuropaWire PR Editors | This entry was posted in Business, Germany, Internet & Online, Technology, Telecom and tagged Big Data, Braunschweiger Zuführtechnik, Cloud, Connected Things Hub, data analysis, data visualization, Deutsche Telekom, Industry4.0, Ingo Hofacker, IoT, IoT platform, monitoring, SaaS, sensor data. Bookmark the permalink. 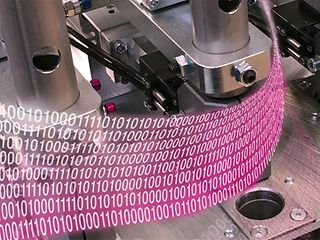 With the help of Deutsche Telekom’s Connected Things Hub Braunschweiger Zuführtechnik uses sensor data of its production machines for predictive maintenance. BONN, 14-Jan-2019 — /EuropaWire/ — Deutsche Telekom’s Connected Things Hub is bringing new clarity to the Internet of Things. Connected sensors involved in tasks such as monitoring of cold chains, optimization of finding and managing parking-space and tracking of vehicles collect enormous quantities of data, in real time. Deutsche Telekom’s Connected Things Hub supports companies in storing, processing, analyzing and visualizing such data. Connected Things Hub, a cloud-based platform for the Internet of Things (IoT) that is built with Microsoft Azure, provides open, standardized interfaces and maximum scalability. It conforms to strict IT-security standards and the EU’s General Data Protection Regulation. And thanks to its flexibility, Connected Things Hub is easy to integrate in existing IT systems. It was developed with Deutsche Telekom’s partner Axonize. With it, companies can develop and implement IoT pilot projects in matters of days. Connected Things Hub, which is offered as a software-as-a-service (SaaS) solution, can be accessed via all established browsers, and on both PCs and mobile devices. “With Connected Things Hub, we can implement IoT solutions very quickly, with low initial investments. Simple, modular, turnkey functions and services speed integration of terminal devices and applications,” explained Ingo Hofacker, who is responsible for IoT business at Deutsche Telekom. Connected Things Hub is compatible with a wide range of terminal devices, including RFID chips, smartphones, industrial IoT box solutions and special single-board computers such as Raspberry Pi. The system’s connectivity offers comparable versatility. In addition to being compatible with Bluetooth, OPC-UA (an Industry 4.0 protocol) and Industrial Ethernet, the system is interoperable with mobile networks and Deutsche Telekom’s machine and sensor network (NB-IoT). Full dashboard functionality is provided for definition of rules and alerts. Companies pay only for their actual use. And they profit from fast set-up and integration, thanks to preconfigured elements and services. Braunschweiger Zuführtechnik has become one of the first companies to opt for Connected Things Hub. With the new platform, the company, which specializes in sorting and conveying/feeding machinery (especially customized systems), will be able to automatically analyze sensor data from its production machines and use it for predictive maintenance. The company’s plans call for millions of measurements to be analyzed via the platform. This will reduce production disruptions for its customers. Further information about Connected Things Hub is available here.